The FF Asia Pacific road show is continuing around the region. The June stop will be in Ho Chi Minh City, Vietnam on the 12th of June. Attendees will get an update on fieldbus technology, see vendor exhibits, and will have a chance to speak to the experts face to face. Key Note: Which Bus Goes Where? The key note presentation will explain where in the plant bus technologies such as 4-20 mA/HART, FOUNDATION fieldbus, PROFIBUS are best suited. Those that build a plant today face several challenges: for instance, keeping the project on schedule and within budget. Plant automation must ensure tight product quality/yield (uniformity), high throughput, and great availability. At the same time cost of operation & maintenance must be kept low, as must cost of fuel and other utilities. How fieldbus reduces wiring and I/O cost by a factor of 3 times or more signals per device, for an even greater overall installation savings. How “virtual marshalling” through soft-wiring simplifies design changes such as device type and count, signal count and type, etc., particularly with power built into the H1 interface card eliminating intermediate marshalling cabinets. About diagnostics from two-wire intelligent on/off valves integrating all devices, including electric actuators / motor operated valves (MOV), unsheltered gas chromatographs, and two-wire inventory tank gauging systems with intelligent device management software and predictive maintenance by eliminating proprietary protocols. The number one problem faced by projects is installation. Issues include grounding, shielding, cable routing, insulation, and general workmanship of wiring and sealing. Experts will share lessons learnt, including the right installation techniques, the proper installation tools, right test equipment in sufficient quantity, and best practices for verification checks to ensure a successful project. Lots of real-life photo examples of do’s and don’ts will be shown. The second biggest project issue is not having prepared the system for all the different types and revisions/versions of devices appearing on site. • All fieldbus devices including intelligent on/off valve, identify themselves by unique ID. Challenges with early fieldbus projects as far back as 15 years ago were very much related to technician’s unfamiliarity with software, downloads, and smart devices. Today, when most people, regardless of where they are in the world, have smart phones for which they download applications and media, and synchronize, this is no longer a problem. FF design eliminates engineering tasks such as I/O assignment and marshalling design, as well as field tasks like loop test and configuration check parameter by parameter, but apart from that project execution is not that different from hardwired systems. A challenge faced by some plants is that use of device diagnostics has not been incorporated into daily maintenance practices; a shortcoming regardless of protocol used. Time-tested work processes were not re-written to utilize diagnostics. Moreover, device diagnostics was not sent to the right persons as maintenance work stations were located remotely, operator did not see device alarms. All device alerts had the same priority regardless of device criticality or fault severity. Cryptic error codes were displayed, without explanation of problem provided. No troubleshooting guidance provided and the important aspects were not highlighted. Provide access to device diagnostics from the operator station in CCR in three clicks or less. Classify and prioritize device diagnostics alarms to enable filtering for early warning routed to operators, while preventing alarm flooding. Re-write work processes around the device management software; troubleshoot and verify from the device management software first, before going to the field. Train operators and technicians on the device management software. Use devices that provide a clear diagnostic message that is easily understood, helps with the identification of the problem, provides guidance towards the correct action, and directs attention to the important aspects. There will be a FOUNDATION fieldbus in Jakarta, Indonesia on Wednesday, May 23rd, from 9 AM to 5 PM at the Kempinski Grand Ballroom D, 11th Floor, West Mall, Grand Indonesia Shopping Town. Participants will receive latest update on Foundation Fieldbus technology and products from various vendors. This program is free; however registration is required. You can register here. Cameras, phones, mail, music recordings, television, musical instruments, and many other things are going digital, so it is no wonder that for major projects in the process industries the control system does away with 4-20 mA and on/off. Learn how gradual incorporation of little improvements over the past decade has overcome limitations of first generation fieldbus systems. New technology enhancements to FOUNDATION fieldbus have made it easier to use, better performing, and even more cost effective for both project team and plant operations. 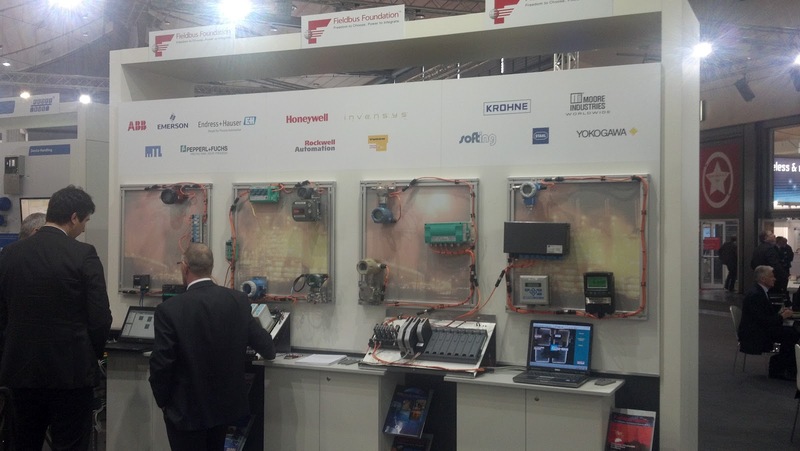 FOUNDATION fieldbus has become attractive for large and small projects in all industries. The knowledge shared in this year’s seminar is based on feedback from last year’s road show in the region. Thousands of plants have been built on FOUNDATION fieldbus. 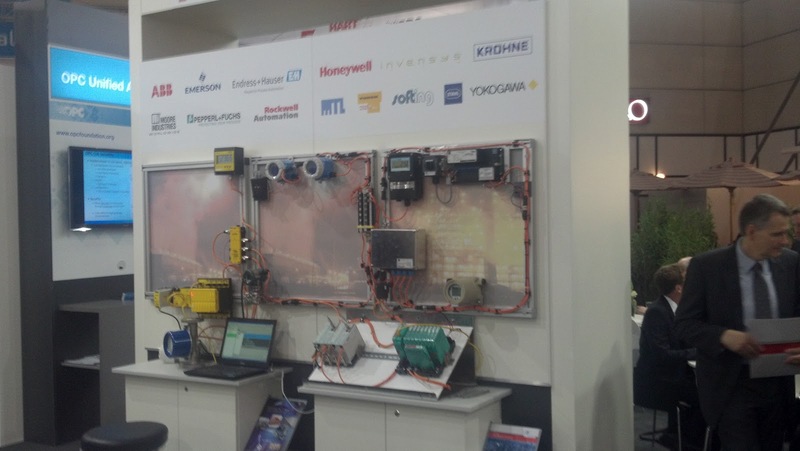 The most successful projects implemented fieldbus knowing it is not only for transmitters and control valves but many other devices, with an awareness of installation pitfalls and how to avoid them, and commissioning the fieldbus-way, not the old way. Learn how. Australian automation publication PACE Process Control & Engineering has a good article by Kevin Gomez on the investment in training and skills development that is required to support FOUNDATION fieldbus systems. The article quotes Rafael Koenig, head of the Process Control & Automation Division and PI Competence Centre at Tyco Flow Control. Koenig presented a white paper at the Ninth International Alumina Quality Workshop in Perth. Koenig highlights the need for better training in the process industries in general. To achieve the true operational and maintenance cost benefits of fieldbus, users must implement a predictive maintenance strategy. “Industry must look at broader benefits, such as enabling sophisticated tools like predictive maintenance for intelligent asset management,” Koenig said. A lack of training, experience and support were holding back the technology, he added. We at the Foundation couldn’t agree more. Without the investment in training and skilled people, users will have a difficult time getting the biggest benefits out of FOUNDATION fieldbus — the implementation of a true predictive and proactive maintenance strategy. Did you know that Endress+Hauser has a control system that is also a FOUNDATION fieldbus host system? The ControlCare Field Control System also sports an HSE linking device, and the system was recently installed at a chemical plant in Italy. You can read the article at here EngineerLive. “La Vichimica, located in Novara, Northern Italy, specialises in the reprocessing of solvents from different process industries, notably pharmaceuticals. During reprocessing, these solvents are separated from dangerous by-products. Every day, tankers carrying contaminated solvents arrive at the works. The contents of the tankers are transferred into the storage tanks for the columns. At the start of the process the solvent is slowly heated. In the subsequent re-circulation phase, the solvent vapour is continually pumped through the columns until the required degree of purity is attained. As you can see from the article, the system also utilizes control in the field capabilities.